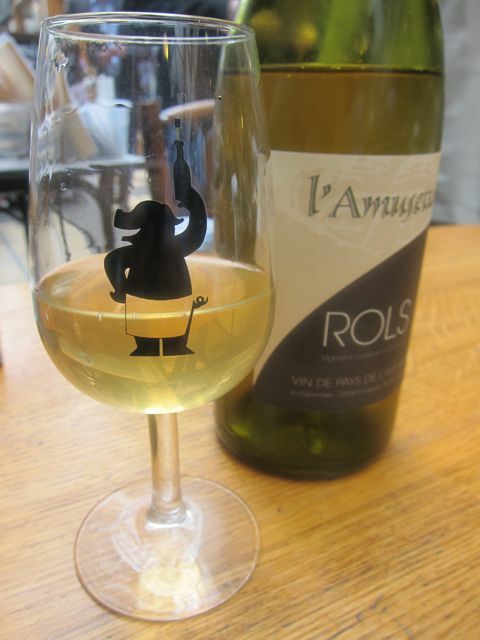 The first two times I went to Passage des Panoramas, only good things happened: L’Arbre a Canelle and Passage 53. My third visit in this landmark passageway still did not fail to please me. 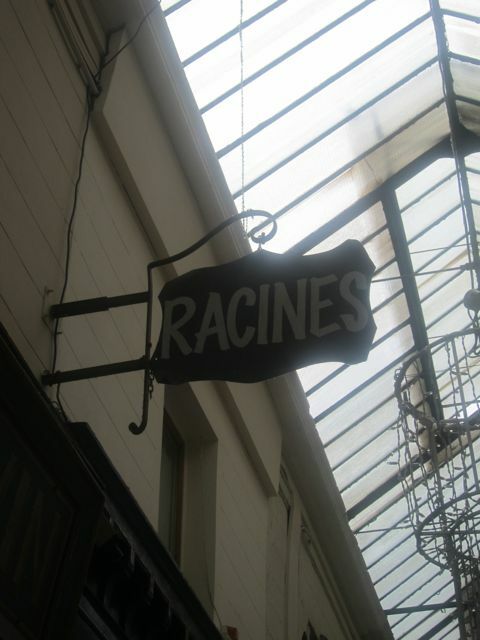 This time, I paid a visit to Racines, a tiny narrow wine bar which serves natural wine and market-inspired cuisine. Founded by Pierre Jancou who has now moved onto other great things, such as his new venture Vivant, his roots remain with David Lanher, the new owner and Nicolas Gauduin, the new chef, creating a natural and tasty cuisine at the age of 26 years old (and whose worked already at l’Arpège, Laurent et Divellec). 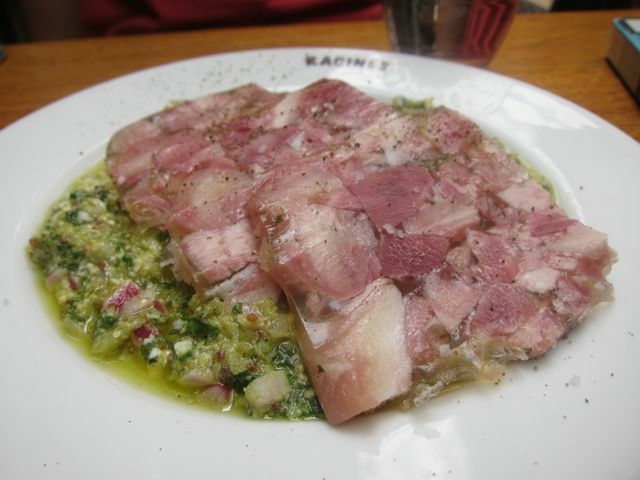 Head cheese from Thierry Daniel, both sweet (meat) and sour (sauce). 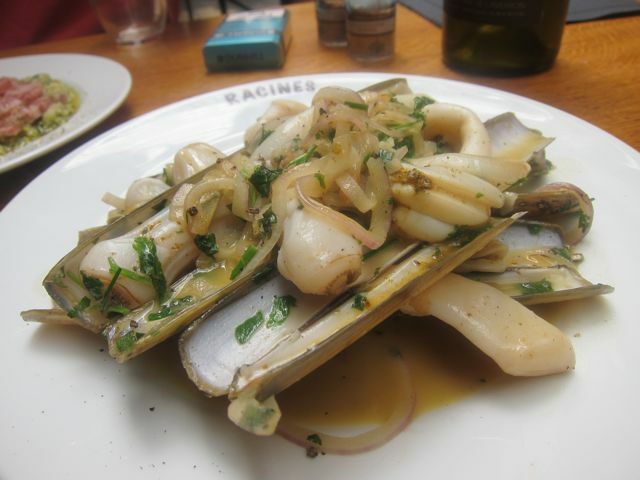 Razor clams from Brittany with herbs and red onions. Absolute perfection, quickly fried in its own jus, succulent and crunchy. 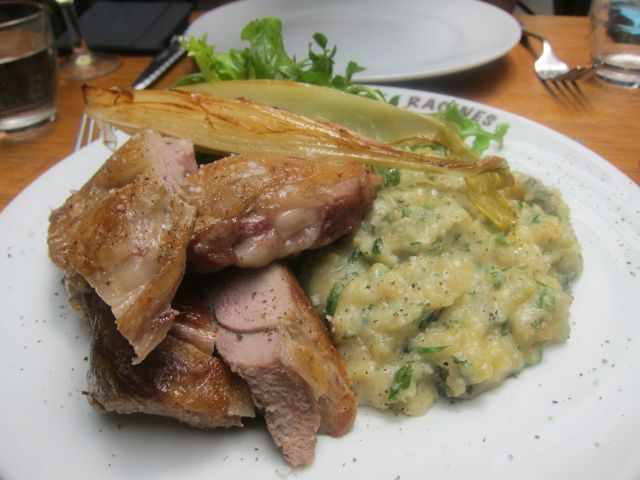 Milk-fed lamb from the Pyrenees mountains, cooked a la plancha, mashed potatoes with herbs. One word: Wow. 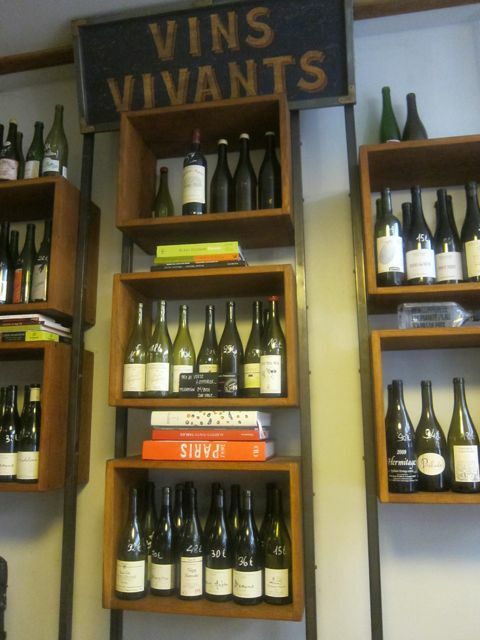 Here, don’t expect anything less than the best quality (and taste) of products and wine; here the staff works with 15 wine producers deemed worthy. 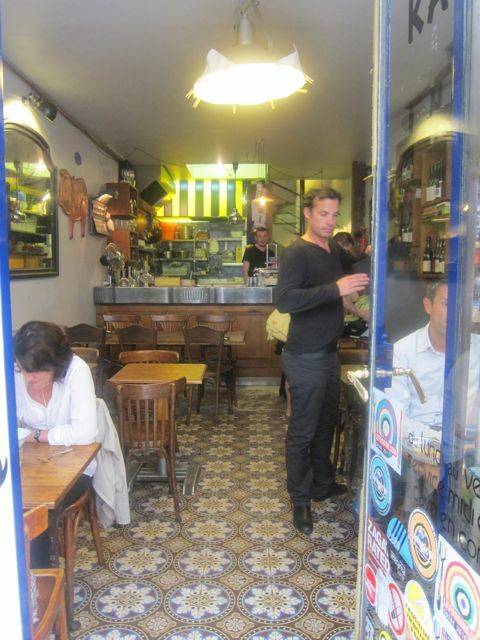 Conserve this place as your top 10 in Paris. The menu changes daily.